Hi Neighbor! We’re hiring! See below for information on our openings on our promo team and internships! Narragansett Beer is looking to add ‘Gansett Girls and Guys to our part-time promotions team in Salem MA, Philly PA, and throughout Maryland! As part of the ‘Gansett Promotions Team you’ll be representing Narragansett at various beer festivals, bar and restaurant promotions, tastings, and special events. We’re looking for young, charismatic, energetic, and outgoing individuals with an interest in craft beer. Hours are flexible and you are able to sign-up and take shifts that fit your schedule. Dependability – It is crucial that our team members show-up on time and are prepared to represent our brand. Clear Communication – As a member of our team, you are our eyes and ears in the community. We depend on clear and constant communication. Cleanliness and Organization – It is your responsibility to make us look good! That means presenting a clean and organized promotions. Stay organized by making sure that you have enough swag and promotional materials for each event. Professionalism – You are to represent ‘Gansett professionally. That means being eloquent, remaining calm in stressful situations, and treating fans, co-workers and brand partners with the utmost respect and sincerity. All applicants MUST be 21 or older to apply. If you’re interested, please email your resume to contact@narragansettbeer.com! The Narragansett Brewing Company is currently seeking qualified individuals to become a part of our team and participate in part the brand’s revival of the Famous Narragansett Beer. Set-up and maintain many social media platforms including: Facebook, Twitter, Instagram, Youtube, Vimeo, Tumblr, Pintrest, Reddit, and more. Work and interact with fans to gain feedback, answer questions, and promote Narragansett’s open door policy with the public. 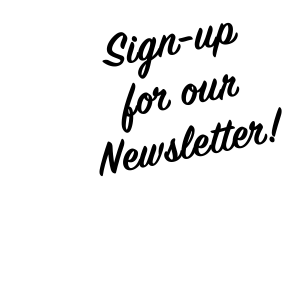 Plan and run special events and promotions such as product launches, music festivals, food festivals, craft beer festivals, and more. We are looking for applicants that are out-going, enthusiastic, dependable, and willing to think creatively and work diligently. You will need to have a reliable source of transportation and a flexible schedule to work selected days, Monday through Friday, during normal working hours at our office in Pawtucket, RI. Applicants for this position must be 21+ as they will be handling beer. This internship is UNPAID. You must be enrolled in college to apply. 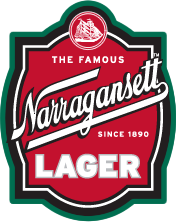 The Narragansett Brewing Company is currently seeking qualified individuals to become a part of our team and participate in the brand’s revival of the Famous Narragansett Beer. We are looking for applicants that are enthusiastic, dependable, and willing to think creatively and work diligently. You will need to have a reliable source of transportation and a flexible schedule to work selected days, Monday through Friday, during normal working hours at our office in Pawtucket, RI.